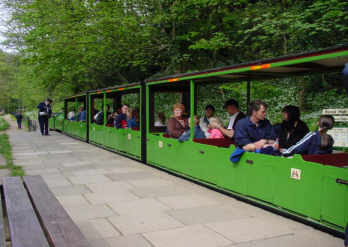 Saltburn Miniature Railway takes a pride in ensuring that passengers have a safe and enjoyable journey. 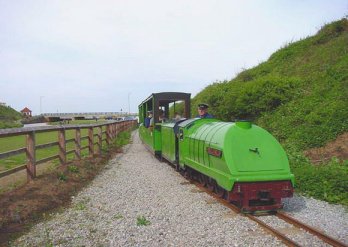 A 15″ gauge miniature railway running from the seafront to the Valley Gardens, Italian Gardens, Tea Lawn and Woodland Centre. 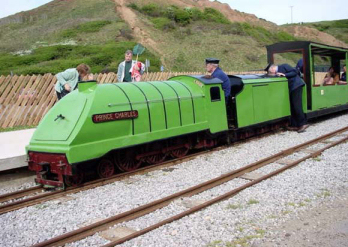 The railway was first established in 1947, whilst the locomotive ‘Prince Charles’ was later introduced in 1953. It was re-opened to the public in April 2003 following an extensive relocation project lasting 2 and a half years, which has brought a partial new route and a new station to the railway. Operated solely by volunteers. The first train arrives ‘Forest Halt’ at approximately 12.50pm on operational dates, ready to start at Cat Nab at 1.00pm. The last train of the day departs from Cat Nab at 4.45pm. The overall round trip is approximately 15 minutes long. Trains run approximately every 15 minutes from either Station.